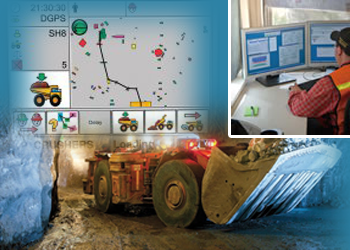 To know the real time location of Heavy Vehicles, mining equipment on the move, and other industrial assets, their effective utilization hours, driver performance and maintenance report is the prime requirement of every fleet manager. Similarly, Cranes are often dispersed over a wide geographic area, often operating in hard-to-reach off-road locations. Usage information is very essential for Project Management, Billing and Invoicing, and for many other commercial and industrial purposes. Unfortunately, most methods of collecting utilization information from the machines are manual, inefficient, time-consuming and error-prone. As a result, many enterprises lose a significant portion of their assets' value due to wasted manpower, under-utilization, misplacement, faulty maintenance, and occasionally catastrophic failure or theft. If your container is mounted on any truck or any ship, to know the real time status and location becomes very difficult. It is just impossible to provide timely and accurate updates to both management and customers alike. Without knowing each containers status and location, the fleet may be under-utilized or over-committed, leading to wasted time and resources. Even more, these problems can be compounded by unauthorized drops and/or lost or missing cargo. Operational efficiency can be degraded, leading to a reduction in bottom-line profitability. SXnavo Asset Management Solution is a wireless solution and asset management information, and also produces 'electronic strip-charts' to report compliance with temperature control objectives. The system generates real-time Alert Notification if any problem occurs. The enterprise management solution is web-based and easy to use. A web application to deliver asset location, tracking reports, maintenance reports other MIS reports, Geofencing, and other GIS reports, System Alerts, reminders, notifications delivered by SMS or via voice call or via e-mail. SXnavo solutions improves the productivity of your assets manifold and boosts your bottomline. Local authorities, Mines and Industries can view infrastructure and service information across all the operators using SXnavo. SXnavo uses web-powered map engines and superimposes information about asset locations and transport services. Bus stops, asset and vehicle locations are displayed in real time, giving a picture of the current situation. Users can show the current display at any selected stop or a chosen areas simply by clicking the stop or the area's icon on the map. Users can send messages directly to either individual displays or groups of displays to maintain current data at all stops in the transport system. Effective monitoring also generates an alert if a display becomes inactive or disconnected from the network.